Ireland’s Power family dominated the Irish Whiskey industry almost from the day innkeeper James Power started making whiskey behind his inn on Dublin’s Thomas Street in 1791 until his descendants merged their company with the Jamesons and Cork’s Murphy family in 1965 to create Irish Distillers. 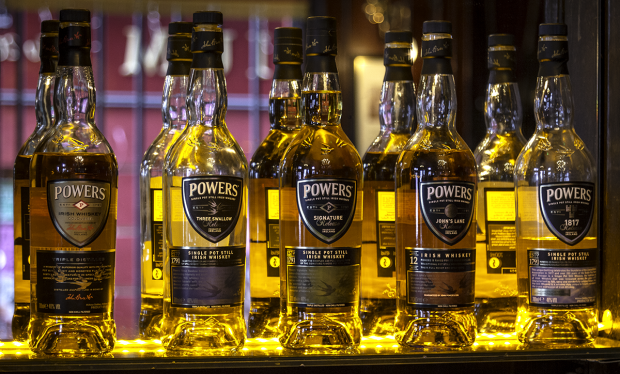 Powers remains one of Ireland’s best-selling whiskies to this day, and is gradually being reintroduced to the world – while its history is being reintroduced to Dubliners through the Powers Quarter. It’s a network of pubs around the family’s old Johns Lane Distillery, which is now home to Ireland’s National College of Art & Design. We’ll look at that history and the Powers Quarter on WhiskyCast In-Depth. In the news, a tentative Brexit deal between Great Britain and the European Union still faces tough challenges, but is receiving support from the whisky industry. A distillery project in Northern Ireland is being scrapped a year after construction began, and a bankruptcy filing in the US could be a sign of tough times ahead for craft distillers.